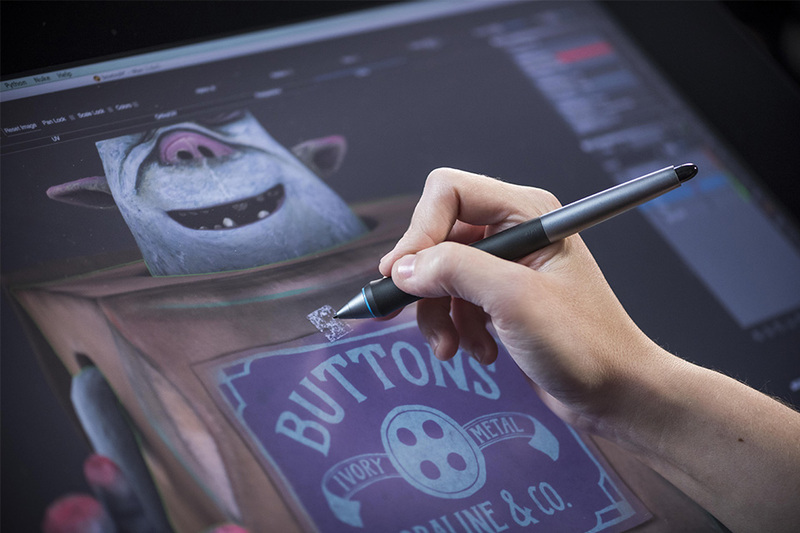 Professional artists and illustrators have another hardware treat to get excited about. Today at CES, Wacom launched a brand new flagship pair of pen tablets — the Cintiq 27QHD and the Cintiq 27QHD Touch, slated for arrival in late January. These replace the company’s 24HD models. Both feature a huge 27-inch, 2560 x 1440-pixel edge-to-edge display with an extra wide viewing angle for creating artwork directly on the screen. For creative pros with color workflows that need to be spot-on, the Cintiq 27QHD displays 1.07 billion colors and includes 97 percent of Adobe’s color gamut. 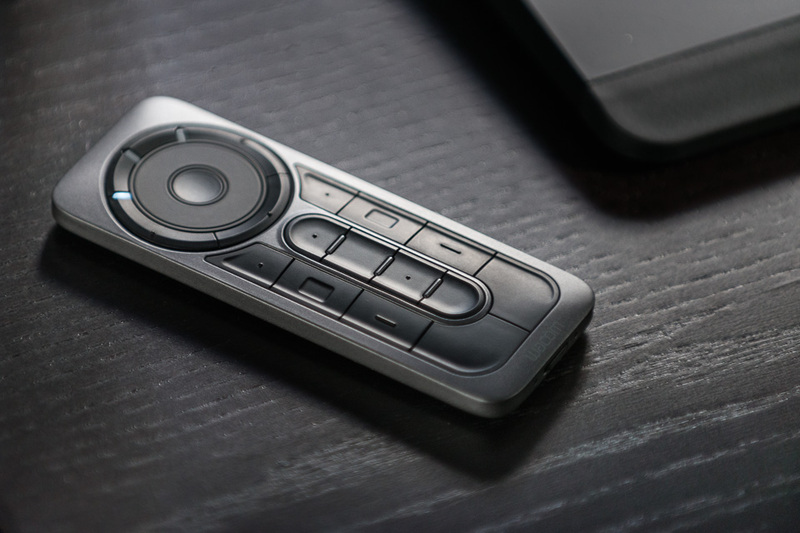 A new ExpressKey Remote — shortcut keys and touch ring — can be positioned anywhere on the screen or desk for increased flexibility and control over how, when and where customized keyboard shortcuts and modifiers are set. The Touch Ring helps you to easily scroll, zoom and rotate. Up to five ExpressKey Remotes can be attached simultaneously so if and when they are combined with onscreen controls, users can customize shortcut keys by task or application, depending on the job. The included Pro Pen, with 2048 levels of pressure and tilt recognition, offers a range of available nibs. Work angle is critical for the creative process and Wacom has taken that into account by offering a variety of stand options for working in the most comfortable way. The Cintiq’s integrated stand can be either laid almost flat at five degrees similar to a canvas or positioned at a 20-degree angle by extending the legs. An optional Cintiq Ergo stand ($399) or a third-party VESA arm lets users adjust the tablet positions even further. 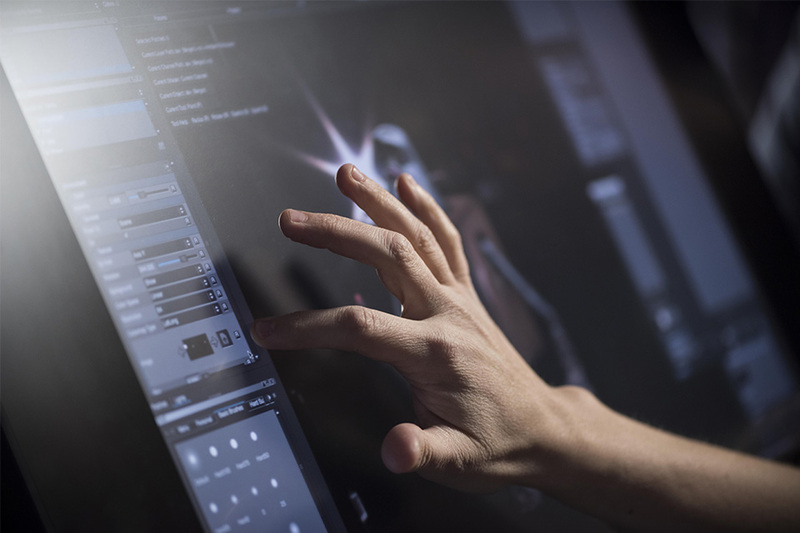 The Touch version allows multi-touch gestures directly on screen in addition to using the pen and ExpressKey Remote devices for a more hand-on, natural creative experience. The Cintiq models work with both Windows and Mac. 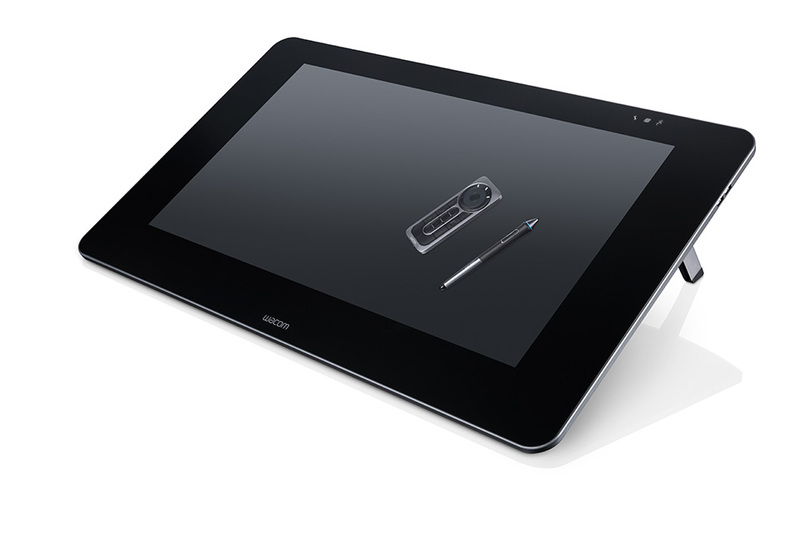 The Cintiq 27QHD for $2299.99 and the Cintiq 27QHD Touch for $2799.99 will be available in late January.